SINGAPORE: The Singapore Zoo in Mandai recently welcomed a pair of special guests from Japan. 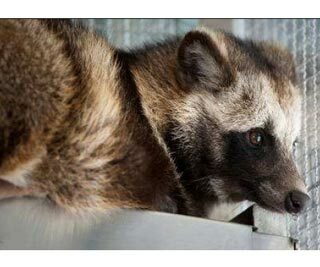 Racoon dogs Pom and Poko are the first animals here under an exchange programme between Wildlife Reserves Singapore and Asahiyama Zoo in Hokkaido. Known as 'tanuki' in Japanese, these animals are native to East Asia and are popularly portrayed as happy-go-lucky tricksters in Japanese folklore. In tanuki folklore, "ponpoko" is said to be the sound a tanuki makes when it drums its own belly. Pom and Poko are in quarantine right now, and visitors will get to see them in a permanent exhibit at the upcoming River Safari, set to open in early 2012.